Hutongs are a type of narrow streets or alleys, most commonly associated with Beijing, China. In Beijing, hutongs are alleys formed by lines of siheyuan, traditional courtyard residences. Many neighbourhoods were formed by joining one siheyuan to another to form a hutong, and then joining one hutong to another. 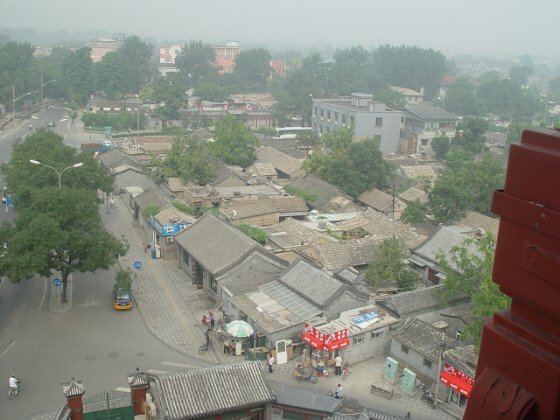 The word hutong is also used to refer to such neighbourhoods. Since the mid-20th century, the number of Beijing hutongs has dropped dramatically as they are demolished to make way for new roads and buildings. More recently, some hutongs have been designated as protected areas in an attempt to preserve this aspect of Chinese cultural history.